To relieve anxiety, depression, emotional stress, and exhaustion, rub 2-3 drops in your hands and inhale deeply to draw the scent into the emotional center of your brain. Then rub on feet, temples, back of the neck. Add a few drops to your tub to help you unwind after a long day. Spray your pillow with lavender hydrosol or add a few drops to your diffuser to fill your room with the calming scent of lavender. Apply a few drops to the bottom of your feet. With its antibacterial and antiseptic properties, lavender essential oil aids in the healing of minor burns, cuts, and scrapes. Add a few drops to your shampoo to help eliminate dandruff. Rub a few drops into your scalp regularly to help prevent hair loss. 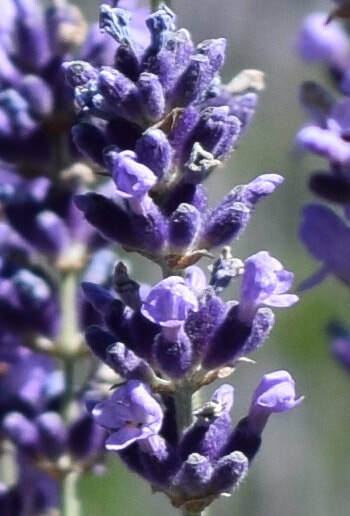 Add lavender to a diffuser or spray lavender hydrosol to give your rooms a clean, fresh smell. Also works well for your car. Add a few drops to a clean cloth and add to your dryer. Add a few drops to your mop water. Mix 5-6 drops of lavender oil into water in a spray bottle and spray onto your skin or clothes. 1. Mix vinegar and borax in a 16-ounce glass bottle. Fill the bottle 3/4 full with hot water. Shake until borax is dissolved. 2. Add the soap, essential oil and lemon juice. Shake well.